Your Kauai experience will not be complete without experiencing some of the best and unique foods of Hawaii. The following foods are not specific to Kauai. They can be found on most of the Hawaiian Islands, but you should try them while in Kauai to make your Hawaii vacation complete. They are not listed in any special order. 1. Shave ice – This is not called “shaved ice” like called other places. Many are familiar with the classic snow cone which consists of crushed ice and some syrupy goo squirted on top. And on initial inspection, shave ice looks a lot like a snow cone, but the similarities end at the icy appearance. Shave ice is a popular Hawaiian treat that consists of finely shaved ice—much finer than that found in a snow cone. Since the ice is much finer, the flavored syrup tends to reside between these fine ice crystals rather than settling at the bottom of the cup. Flavors for shave ice are typically Hawaiian in nature, pineapple, guava and coconut although you can still get the standard fare of strawberry, bubble gum, etc. For an added treat, get a scoop of ice cream in the bottom of your cone. Yummy. My favorite place to get shave ice in Kauai is at JoJo’s in Waimea. 2. Kalua pork – Kalua means “to cook in an underground oven.” The most common place to get your Kalua pork would be at a luau, but you can find it around the island at different restaurants. Cooked right, it is very tender and very tasty. A favorite place to get Kalua pork is at Da Imu Hut Café in Hanapepe (3529 Kaumualii Highway). If you want to grab a plate lunch with Kalua pork, visit the Pono Market in Kapaa (1300 Kuhio Highway). 3. Spam – Really, spam? In Hawaii? 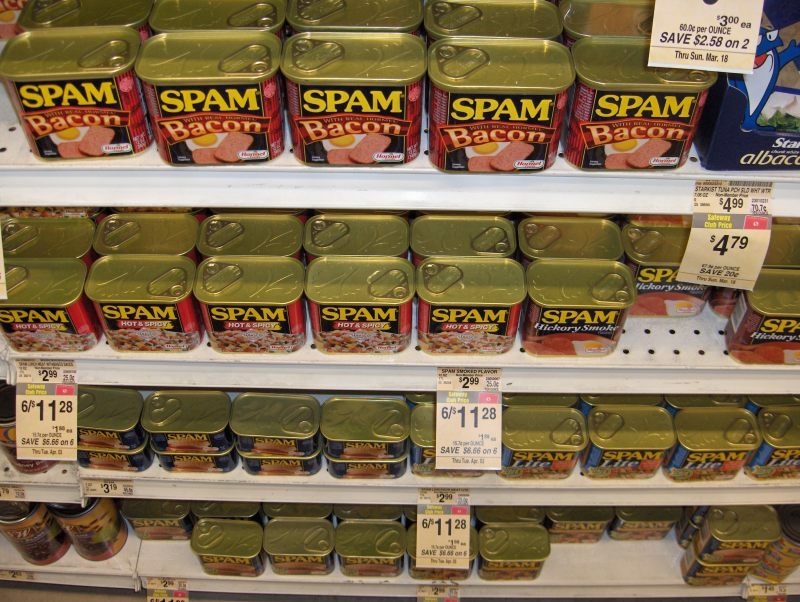 Yes, spam is a Hawaiian favorite and you probably won’t have to look far to find it. I found it in many different permutations in the grocery stores and I found it cut up finely in a bowl of Saimin that I ate in Lihue. On one trip to Oahu, I ate at McDonalds and saw several different options to order Spam and rice. The first time my son ate Spam was in Kauai. He loved it and I told him that it was only sold in Hawaii. I was busted a few years later when he spotted it in the local grocery store back home. 5. POG – You won’t have to look too far to find this either. 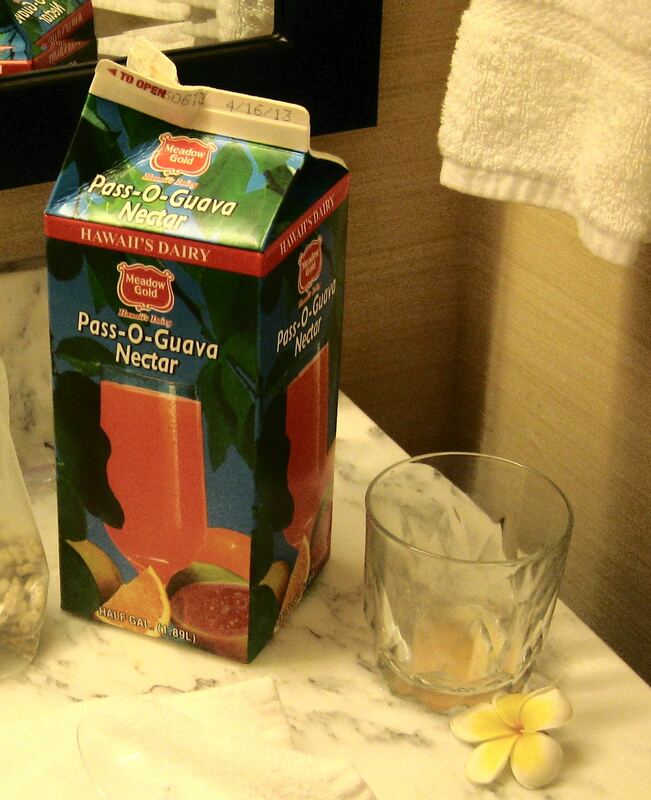 P.O.G stands for passion fruit, orange, and guava juice. It is served all over. I got a carton of it once when flying from Maui to Kauai on Hawaiian airlines. It’s probably not the most amazing drink you will ever consume, but it is good and very Hawaiian. If you don’t stumble upon it in your normal travels, you can pick it up in any grocery store. 6. Ono – Also called Wahoo, it is a fish that is related to the king mackerel. It is a mild flavored fish that does not taste “too fishy.” Ono is served in most Hawaiian seafood restaurants. 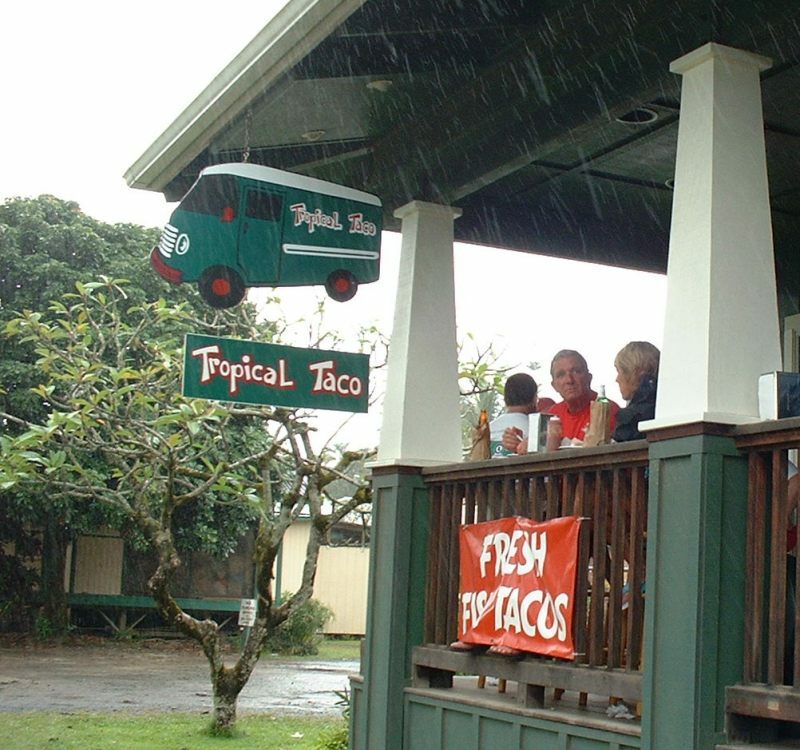 For a great fish taco, visit Tropical taco in Hanalei (5088 Kuhio Highway). 7. Hawaiian Sweet Bread – Just the sound of this make my mouth water. This is a very soft, very sweet tasting bread. It is like Wonder bread, only one hundred times sweeter. My wife who won’t let the kids eat Wonder bread approves of this. 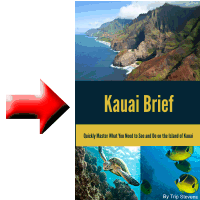 While none of these items are specific to Kauai, they can enhance your Hawaiian vacation and may even have you looking for some of these things when you get back home.